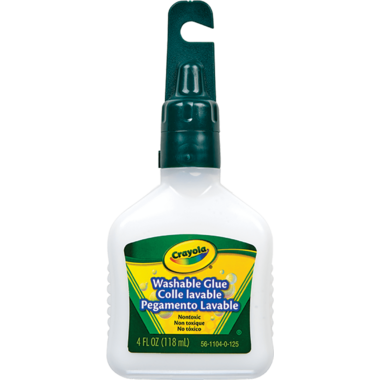 Crayola Washable Glue dries clear and resists cracking. Each bottle features a "no clog" tip. For use on paper, fabric, cardboard, wood, etc. Washable and non-toxic.